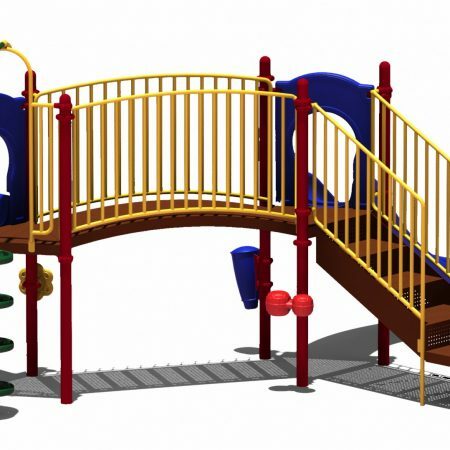 Children ages 2 to 12 years will love exploring the Boulder play structure. 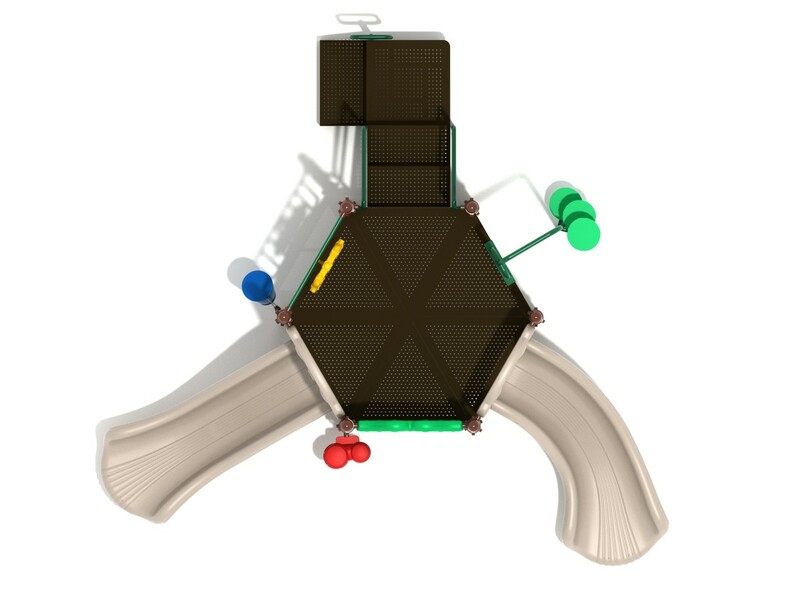 A transfer station and a disc climber lead up to a hexagon shaped deck. On the deck, kids can play with a gear panel or steer the ship’s wheel on the metal barrier wall. 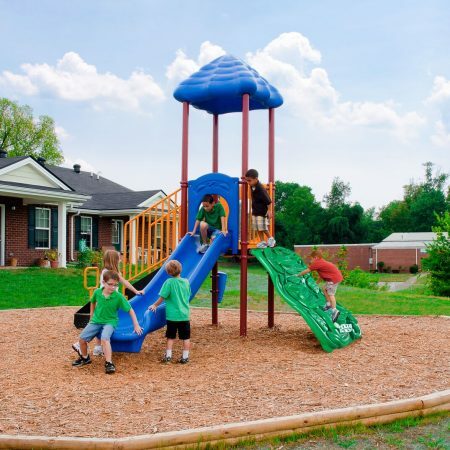 Children ages 2 to 12 years will love exploring the Boulder play structure. A transfer station and a disc climber lead up to a hexagon shaped deck. On the deck, kids can play with a gear panel or steer the ship’s wheel on the metal barrier wall. 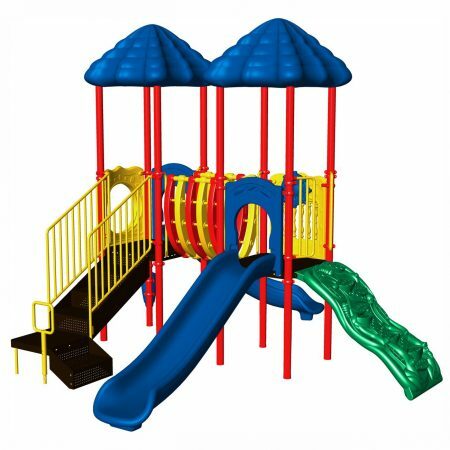 To head back to the ground, kids can choose between a straight slide or a right turn slide. Post mounted at the ground level are a single drum and bongos. 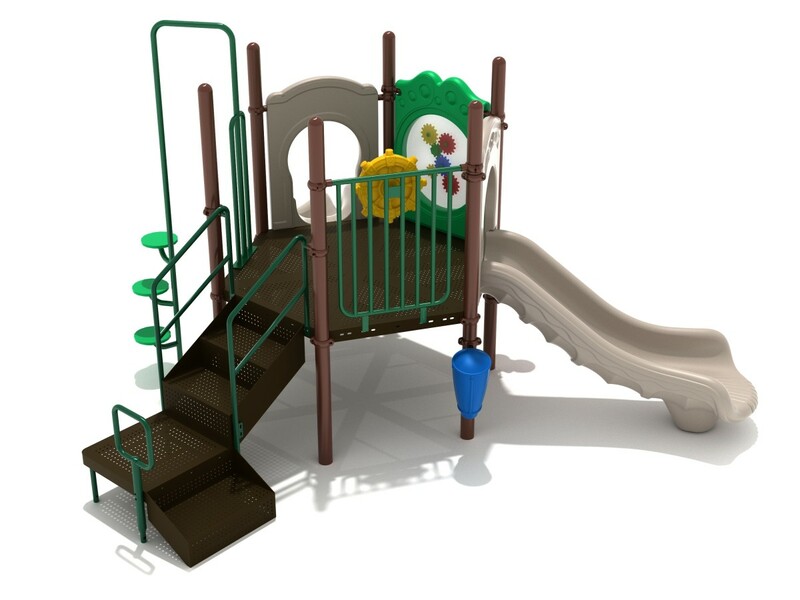 The Boulder play system allows a child’s physical development to be improved as they climb up and down the climber or the stairs. Social play can also be developed as new friendships are formed. Imaginative play and mental development can be stimulated as well. 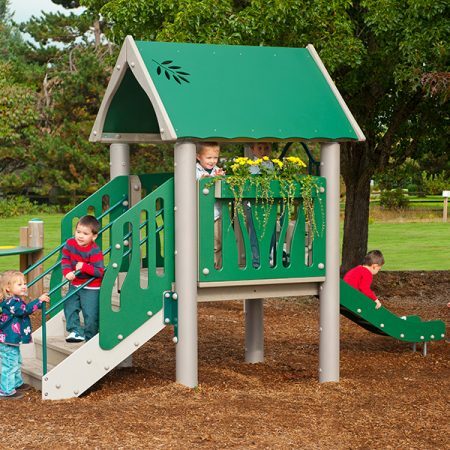 The Boulder play system is a structure that will fit in well in most spaces. It has a little bit of something for all kids to enjoy. 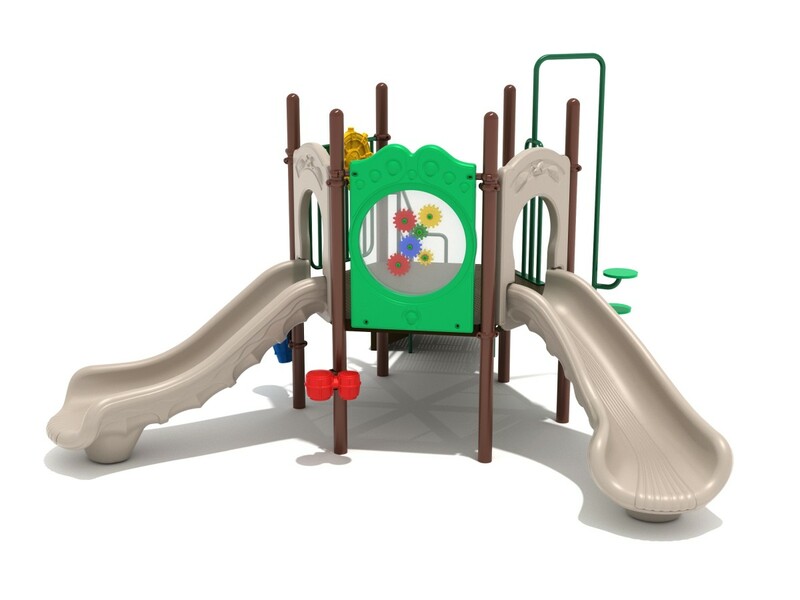 The Boulder play system is ADA compliant.